Money matters and no one knows it better than Murlidhar Dhurve, a 55-yearold farmer in Maharashtra suffering from hypertension for almost four years now. “I sustained chest injuries in an accident four years ago. It was then that doctors at the hospital said I was also suffering from high blood pressure,” says Dhurve of Pimpalkhuti in Kalamb tehsil of Yavatmal district. “I started my treatment for hypertension at a private clinic, but the cost was too high and I had to shift to a government hospital,” he adds. Doctors advised Dhurve to cut down on oil, spices and salt. More difficult to follow was the advice to eat more vegetables. Green, leafy vegetables had been dropped from his family’s menu ever since their prices soared and he could no longer afford them. But carrots, tomatoes and spinach have to be bought for him now while his family of seven relies mostly on chauli, a rather cheap vegetable, for nutrition. Dhurve spends a good part of his meagre income on vegetables, medicines and making frequent visits to the doctor for check-up. While the treatment is essential, its cost is a cause for stress—and this aggravates hypertension. The average cost of one visit to a doctor in public hospital was Rs 198 in 2004 and Rs 336 in a private hospital, according to Ajay Mahal, adjunct associate professor of international health economics with the department of global health and population at Harvard School of Public Health in the US. Mahal has analysed two surveys of the National Sample Survey Organisation. In India, medicines account for a good part of out-of-pocket healthcare expenditure. Expenses on drugs form a major source of financial duress. Meena Sharma, 40, spends Rs 1,000 on medicines every month. Her hypertension has led to diabetes and hyperthyroidism. The housewife in Dhankot village of Gurgaon spends over Rs 500 on each visit to the doctor. Till recently, her husband was out of job and medical treatment was nothing less than a burden. When 37-year-old T Suramma, a poor housewife in Andhra Pradesh, tried leaving medication after her blood pressure came under control, she had to return to the doctor for treatment after a month. For, her blood pressure started shooting again. Since 2009, she has spent Rs 10,000 on medicines. Of a person’s total out-of-pocket expenditure on health, 31.6 per cent was spent on non-communicable diseases in 1995-96, states Mahal’s analysis. It increased to 47.3 per cent in 2004. According to his analysis, the expenditure on hospital stays in India for hypertension was Rs 90 crore in 1995-96, which increased to Rs 306 crore in 2004. In 1995-96, over 300,000 people stayed in hospitals due to hypertension. The number rose to almost 700,000 in 2004. 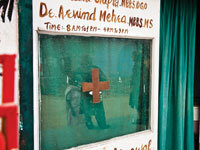 Mahal also estimated that one stay in a public hospital cost Rs 2,392 in 2004 compared to Rs 7,026 in a private hospital. Assuming that all hypertension patients and their caregivers are productive, their absence from work in 2004 incurred India an annual loss of one trillion rupees, shows Mahal’s analysis. He also found that more than one-third of all income losses were due to hypertension and cardiovascular diseases. In his 2010 analysis, he showed that if noncommunicable diseases were eliminated from India, its GDP would increase by a good 10 per cent. India has seen very little research on hypertension. Researchers and policymakers refer to hypertension only when they want to make a point about diseases like diabetes and heart attacks. Combating hypertension is crucial because India, particularly the countryside, is not well equipped to tackle non-communicable diseases that it leads to. Keeping a tab on hypertension will help the country effectively avert epidemics of non-communicable diseases. An aware population is more likely to adopt a better diet and improved lifestyle.